Antonio Basso´s contemporary Art in Barcelona. Some months ago I wrote about how the Spanish art market had collapsed, and discussed the need to reinvent the way Galleries exhibit, at least in Barcelona, and why new proposals where needed in order to reactivate the market. 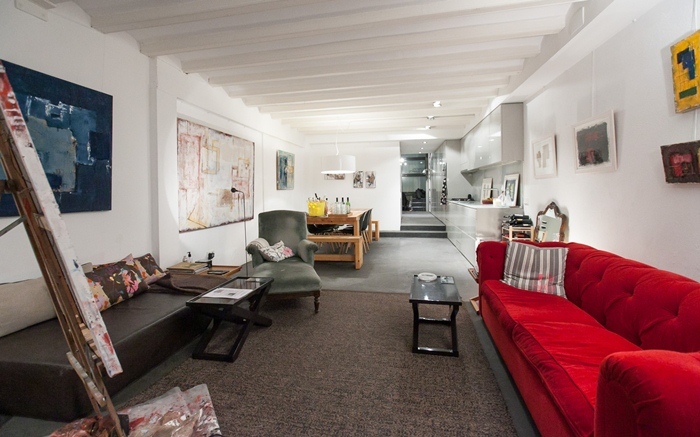 Bárbara Aurell, a Barcelona´s interior designer at espacio en blanco, two years ago decided to start exhibiting contemporary art at her fabulous home-studio. Bárbara loves art and enjoys connecting artists with art enthusiasts. 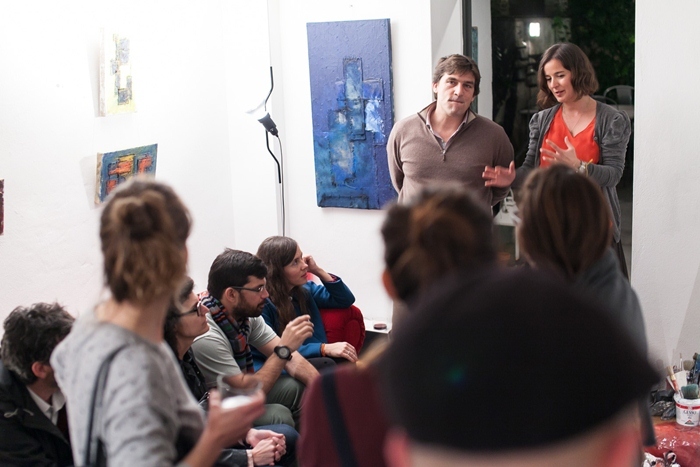 She called the event movimiento en blanco, and since then each month she invites an artist together with friends, collectors and art enthusiasts to a one night exhibition. For this so special event (I call it special because I´ve talked with other artists who have already exhibit and they all agree that the energy and emotions they felt were special and difficult to explain), the artist has to decorate the whole loft-studio with his/her art proposal and at some point during the night give a speech in front of all the assistants. The following are some pictures and a video of my first solo abstract art exhibition in Barcelona at movimiento en Blanco. 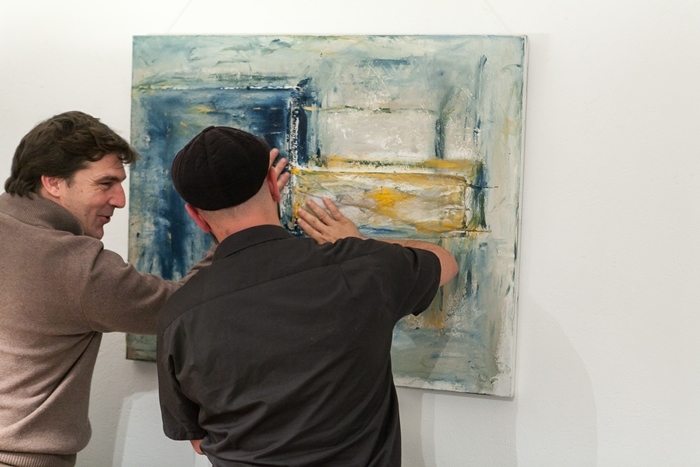 For this event I chose 14 pieces of the just finished Space Occupancies abstract paintings collection. Let me add that exhibiting at movimiento en blanco was a dream made through! Hope you have enjoyed the video and photos. I´m planing two new posts. In one I will be talking about La Feria de Arte Contemporáneo de Medinacelli (April- May 2013). 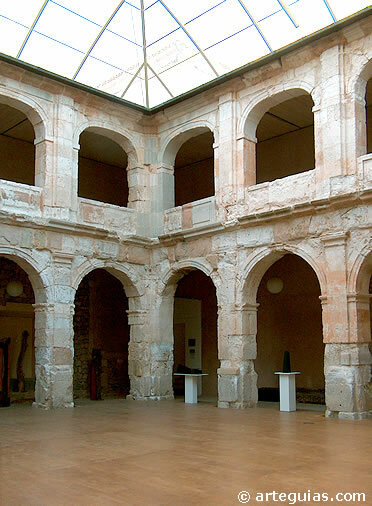 Medinacelli´s Art fair is an international contemporary emerging artists fair taking place at one of the most beautiful and historical villages in Spain. For this fair I will be exhibiting two paintings (Space Occupancy #20 and Space Occupancy #21). Let me just briefly tell you that the fair happens in a fabulous Renacentist Palace (see the pictures below). Can you imagine how spectacular is the contrast between contemporary art and the ancient walls and columns of a XVIth century palace! 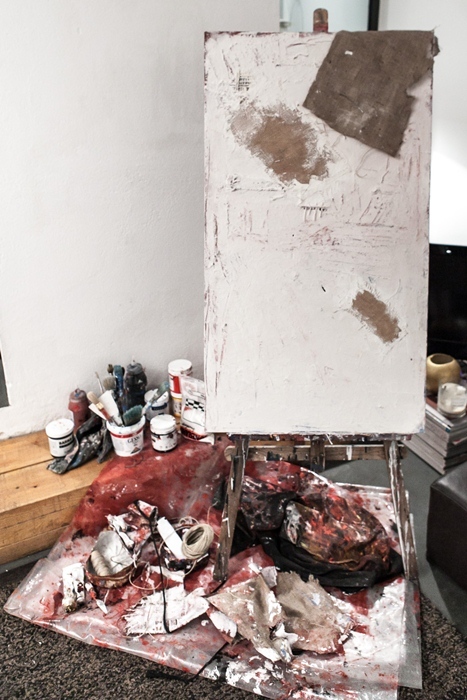 In the other post I will be introducing you the new abstract collection I´ve just started, Decompositions.